Everything you need to create a cohesive home you love. 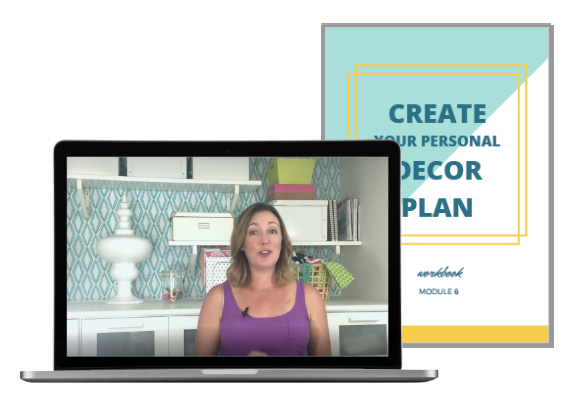 A self-paced, online decorating course. 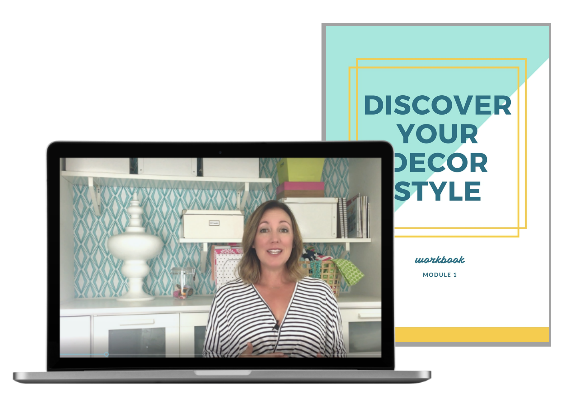 Learn the step-by-step process to creating a home you love, even if you don't have "an eye for design," inside my signature online decorating course. Get instant lifetime access to the course material today! 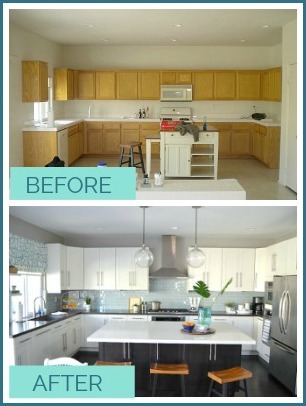 Are you ready to stop second guessing every decorating decision and create a beautiful home you love? Have you tried piecing together your ideas and inspiration, but they never turn out the way you want? 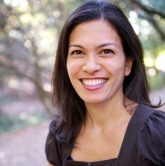 Do you feel so overwhelmed that you freeze up and don't know where to start? Does your decor feel all over the place and lack the "put together" cohesive look you're craving? Is it difficult to decorate with what you have, within your budget? Are you constantly buying and returning decor that doesn't work in your home? 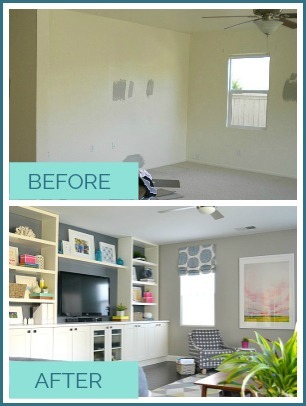 Have you given up because you believe you "just don't have an eye for decorating?" For much less than it would cost to hire an interior designer, it's now possible for you to break down your personal style and create a decor plan that you can apply to every item in your home. DEFINE YOUR STYLE AND CREATE YOUR DECOR PLAN. 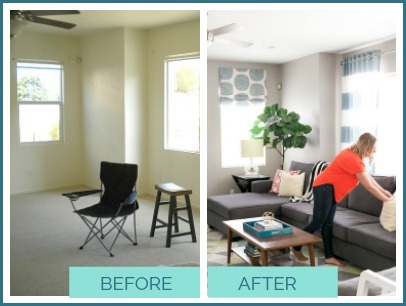 FOLLOW A STEP-BY-STEP SYSTEM TO APPLY YOUR DECOR PLAN TO ANY ROOM IN YOUR HOME. 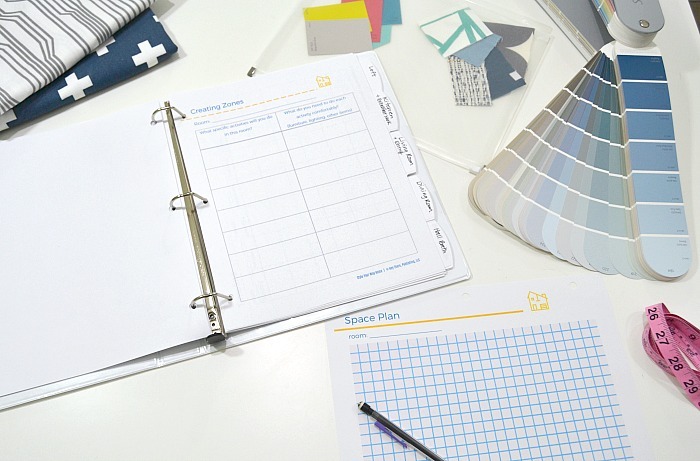 KEEP EVERYTHING ORGANIZED, ON SCHEDULE, & WITHIN BUDGET IN YOUR HOME DESIGN PLANS BINDER. Everything you need to create a home you love is included. I'll walk you through some key questions that are my favorite way to figure out what exact colors, pieces, and other elements you want to put in your perfect home. It's a very different approach than what you're used to and it works! How to gather inspiration the right way. I'll show you how to gather inspiration in an intentional way without falling down the Pinterest rabbit hole. 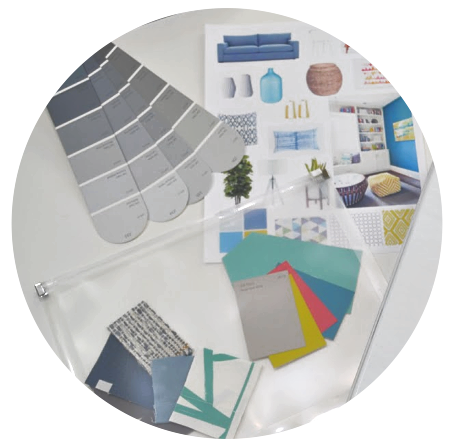 How to create a “mood board” like a real interior designer. How to identify decor styles. In order to stick to your decor plan and create a cohesive home, you need to know what to look for and which elements make each style unique. How to define YOUR decor styles. 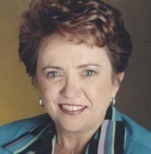 To eliminate overwhelm you need a clearly defined style. You'll create your own unique 3 part style definition that you'll use to make your home feel like you, and know exactly which elements to keep or bring into your home. Mixing styles is one of the biggest hang-ups when it comes to getting that finished, pulled together, and cohesive look we all want. 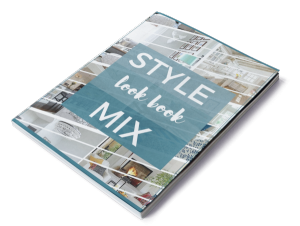 I'll teach you simple steps that you'll use again and again to mix styles confidently. How to create your home decor plan. Know exactly which colors, styles, textures, patterns, and accessories you'll use throughout your home to ensure a cohesive look. 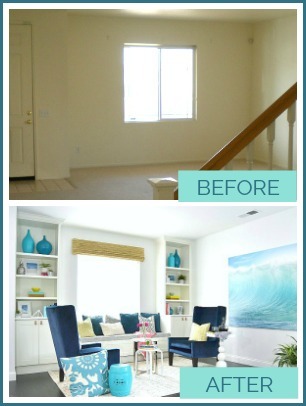 How to apply your decor plan in each room. Apply your whole home decor plan to individual rooms so your home is cohesive, but not exactly the same from one room to the next. 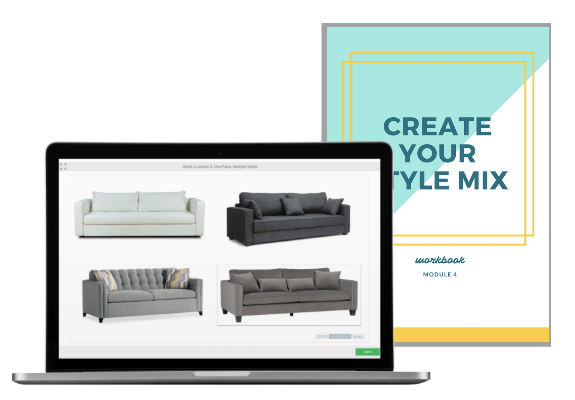 Follow 4 simple steps to plan a room from start to finish using the printable planning sheets provided. How to stay organized, on schedule, and on budget. 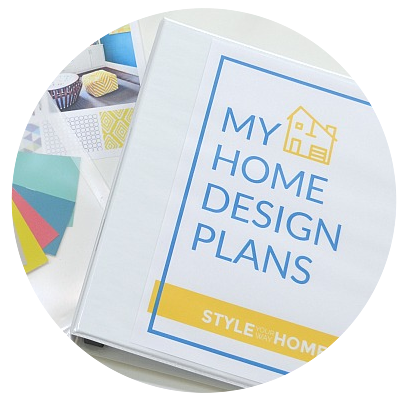 Create your own Home Design Plans Binder with printable planning sheets for each space. Everything from space planning, wish lists, calendars, and the individual room's design plan can be printed out for each space you take on. 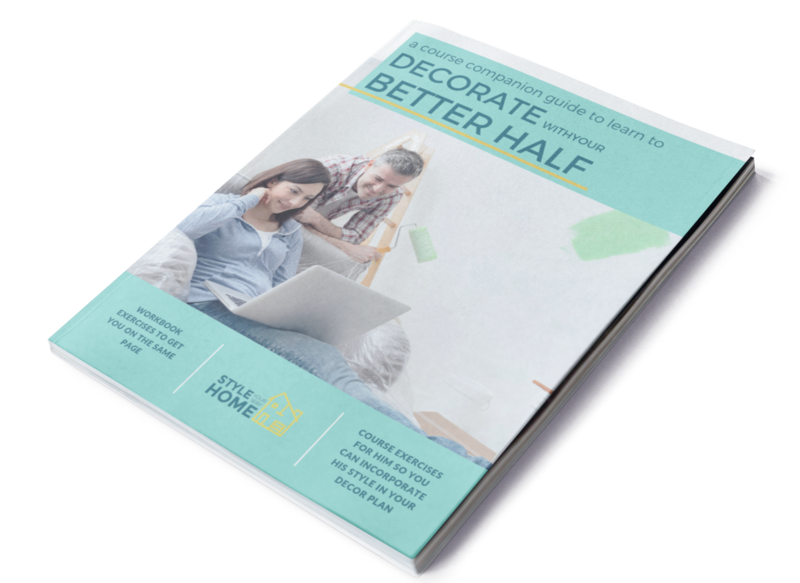 These bonuses are designed to make implementing your decor plan easier, faster, and to ensure your success. These short exercises to do with your spouse will teach you how to incorporate both of your styles into your decor plan and ensure that both of you are represented in your home. Having a visual representation of your decor plan is essential to making good decorating decisions. 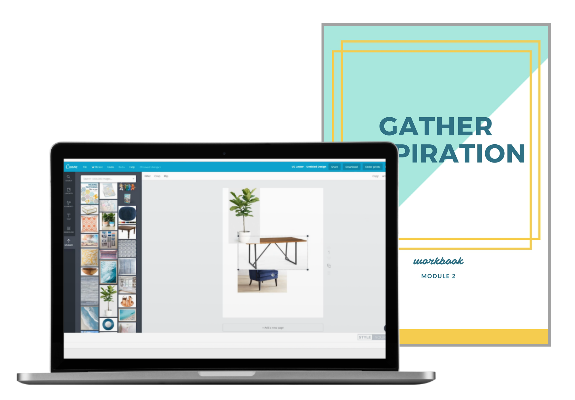 I'll show you how to create a printable (and editable) moodboard that you can add to the home design binder you'll be creating. Mixing styles doesn't have to be difficult if you know what to look for. In this look-book you'll see 10 + rooms broken down into style formulas. Pick your favorite and use it's formula to get the look you want with your own touch of course. Simply plug your elements in and create a look you love! I’ve bought a lot of courses but this is the only one I've finished -- and definitely the only one that's changed my home life. Before doing Style Your Way Home, my decor style could be described as “the last thing I looked at on Pinterest.” I was constantly changing my mind (every time I saw something else I liked on Pinterest) and shifting to another interior design direction. What a waste of time, money and effort. But you gave examples and 'analyzed' photos of rooms to identify different styles and how they’d been mixed together. 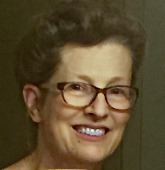 I learned how to identify my style and trained my eye a bit to recognize other styles. Now I finally understand why I hate my current sofa, and I know what to look for, so I don't waste money again. I share my decorating tips with more than 25,000 readers and I can't wait to dive deep into how to create a home decor plan with you. 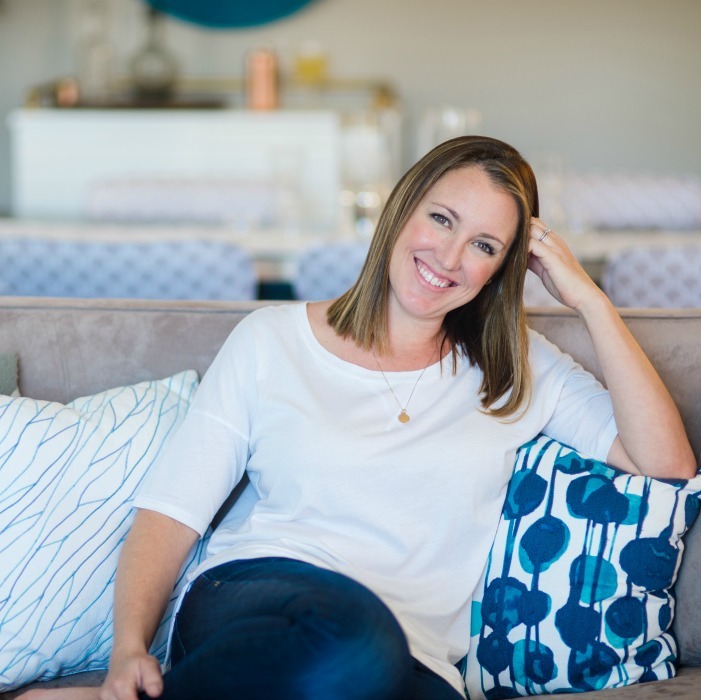 As a busy mom of two, I understand how important it is to create a beautiful and inviting home that can be lived in, not just looked at and truly believe that the way your home feels affects the way you feel. 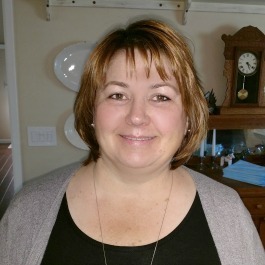 Over the years, I've helped my readers with DIY projects, how to articles, and inspiration. 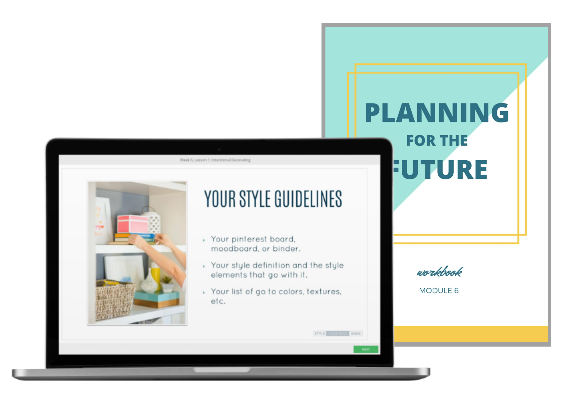 As a trained, experienced, and born teacher (I used to teach high school), I knew I needed to create a program to help you fully decorate your home in a way that's cohesive, full of personality, and requires no decorating skills. After taking your decorating course, I’ve found that defining my own style has helped with every decision. This course is affordable and gives the whole picture - the kind of advice I’ve been looking for for years but always felt frustrated when other people's ideas were pushed and I still didn’t understand the concepts and precepts. ...and It’s great to find that money is not an issue, as you give so many ideas that can be adapted to what I already have or what I can afford, and I’m also so grateful that I can pick the course back up at any time and keep going back to basics. 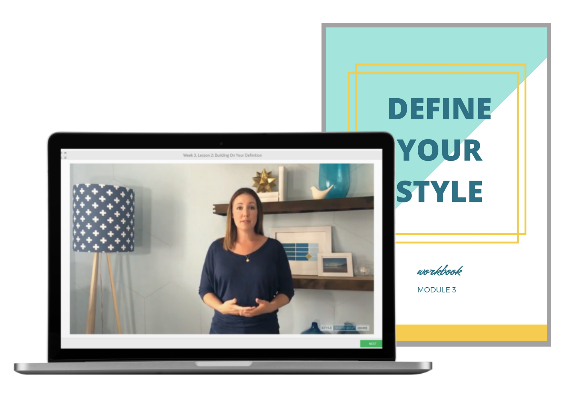 In this course, Corey breaks things down into easy to understand bites for people who aren't interior decorators. As a result, I was able to define my colors and style, and now I’m planning and buying intentionally. I’ve also been able to define my husband's style and work it into the plan. 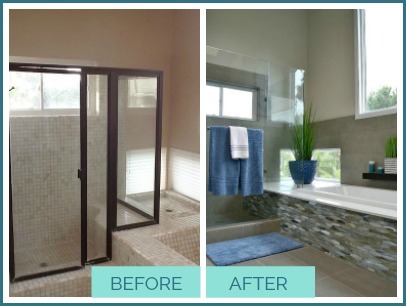 You want to create a beautiful and cohesive look in your home. You feel overwhelmed when making decorating decisions and feel like there are just too many choices. You waste a lot of time and money buying and returning decor that doesn't work out. 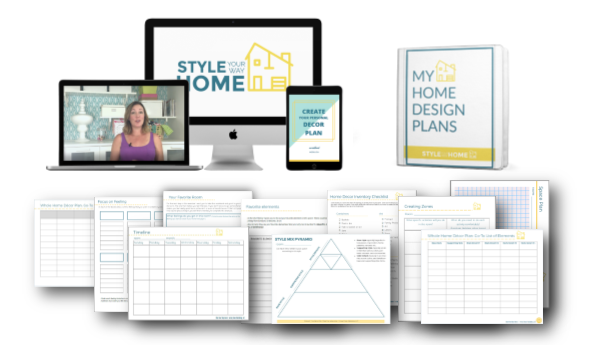 You're ready to finally create a whole home decor plan that will eliminate the overwhelm. You love the way your home looks and feels. Making decorating decisions is easy for you. 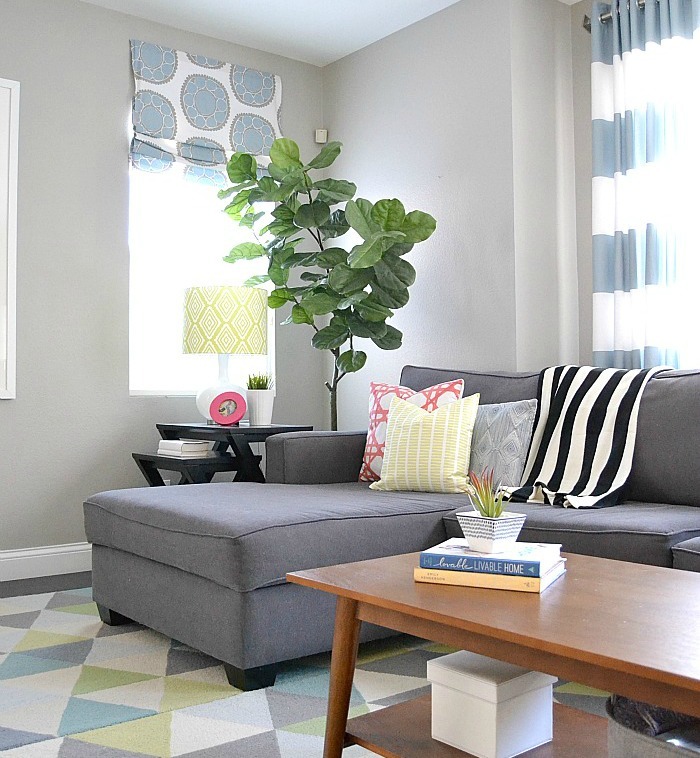 You've created a cohesive look in your home that flows from one room to another. Are you ready to learn a skill that will change the way you feel in your home forever? Imagine being so clear on your personal style that you’re able to walk into a store and know immediately if an item will fit into your decor plan. Imagine having a home that puts you in a good mood and showcases who you are and what you love. Imagine having friends over for dinner, coming home after a long day, or spending a summer Sunday in a home that feels like the perfect backdrop for your ideal life. You don’t need to settle for boring (or its counterpart: over decorated). Having a home full of character that looks cohesive is possible for you. 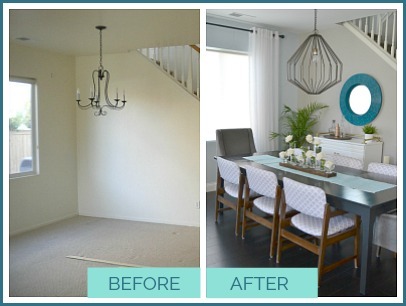 I've loved decorating for years, but felt my skill level was lacking so I did't have much confidence and was never truly satisfied when I completed a project because it didn't always tie in together nicely. 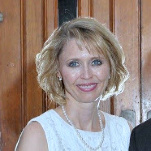 But this course helped me break decorating down into easy steps that I can follow and not feel overwhelmed. I am so happy I signed up for the course! This course was so fun and it gives you tools you can use over and over again. I found that the questions [Corey] asked to identify my style forced me to think carefully. I’m continuing to use the worksheets and updating them as I make changes and revisit my decor plan. Now I have tools that I can use again and again and it wasn't intimidating at all! Style Your Way Home comes with a 14-day no-questions-asked guarantee. 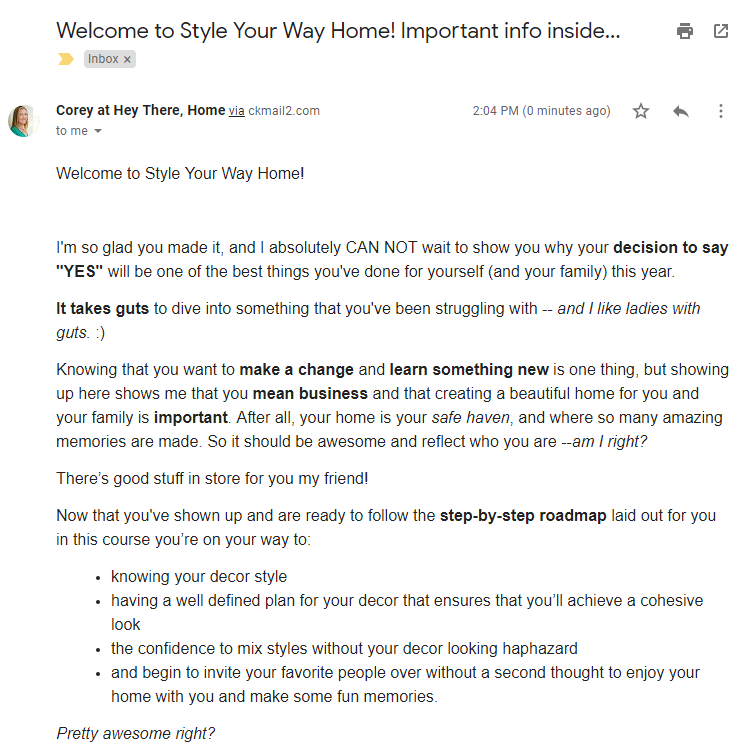 I want you to be super happy with Style Your Way Home, which is why if you do the lessons within 14 days and still aren’t happy, I’ll give you your money back. Purchase the course with a payment plan or the full-pay option. You can pay with either PayPal or credit card. All the details about the course including login info, release dates, and answers to common questions. Immediate access to the course area. 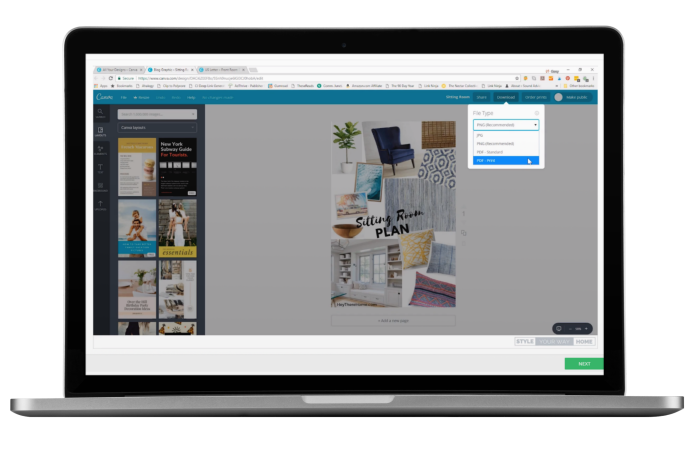 The welcome material and module 1 will be waiting for you, so you can dive right in and get started right away! As soon as you enroll you'll get access to the welcome material and module 1 so you can dive right in. Then you'll get access to each additional module every week on the same day you enrolled for the next 5 weeks. From there, you have lifetime access to all of the lessons so you can go back as often as you'd like. This is an online course. 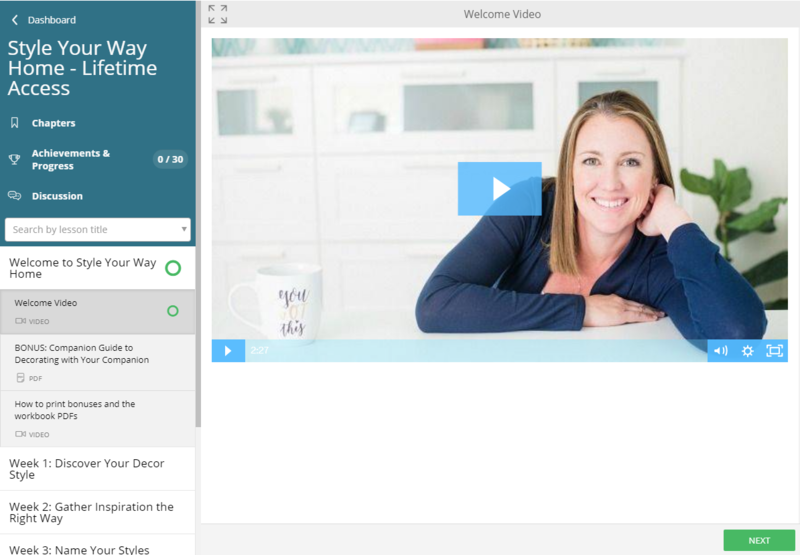 You'll log into the course area to watch video lessons, print out worksheets, and access other course materials from the comfort of home, on your schedule. How long does it take to get through the course? 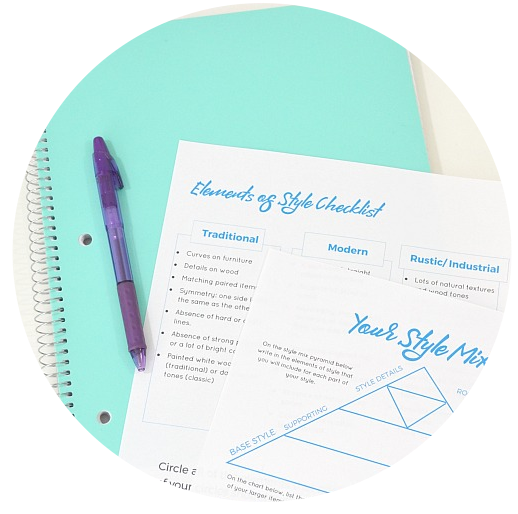 The course is designed to work at your own pace, but I've broken the material down into 6 sections to take you step-by-step through the process without overwhelming you. Each section has 2-3 video lessons (7-12 min. each) and worksheet exercises for you to complete. You get lifetime access to the course material including any future updates. You can pay with Paypal or use a credit card on our secure payment system. You'll get access to the course area as soon as payment is complete. If you go through the course, do the work, and aren't satisfied, you have 14 days to request a refund. When requesting a refund, you must show proof that you did the course, as well as the work in the workbook. You won't get results unless you follow the program, and I'm confident that if you follow the steps, you will see results. Will I have to go out and buy new furniture and decor? No. Absolutely not. We take a close look at what you're naturally drawn to and chances are you already have most of what you need. You'll look at what you already own with a fresh perspective and when it is time to make a new purchase you won't have to fear making the wrong choice, cause you'll have your Decor Plan and the skills to know what will work and what won't in your space. No design skills are required to get big results from this course. If you're eager to create a home you love and are willing to work through the steps I lay out, you'll end the course with a solid Decor Plan that will guide your decorating decisions, eliminate indecision, and willy-nilly purchases. You deserve to love the way your home looks and feels. 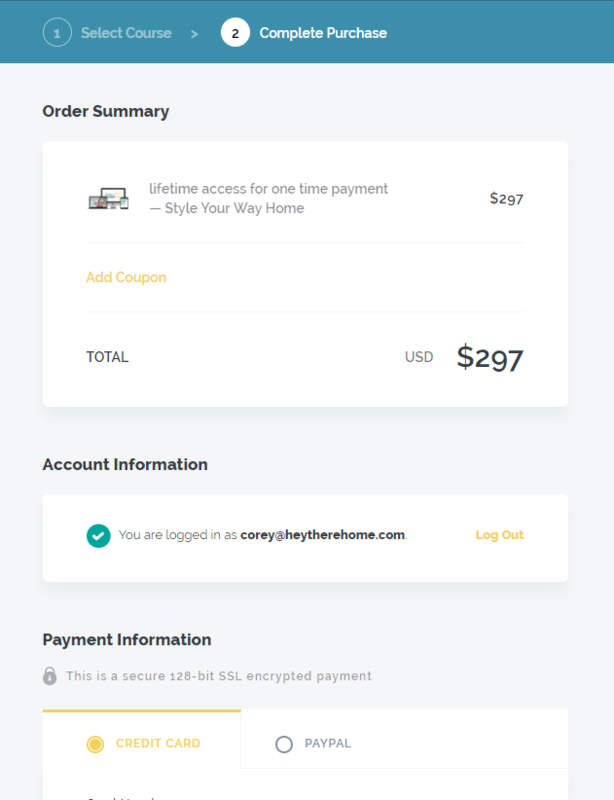 Pick your payment plan and get started!